By Shania Twain, composed by Robert John "Mutt" Lange, Shania Twain. Single for voice, piano and guitar chords. G Major. 8 pages. Published by Hal Leonard. ISBN 0634090844. With vocal melody, piano accompaniment, lyrics, chord names and guitar chord diagrams. Country Pop. 9x12 inches. 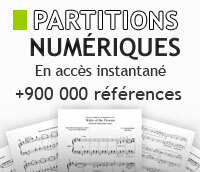 Le livre de partitions correspondant à l'album `Greatest Hits` de Shania Twain, contenant dix-huit tubes et trois nouvelles chansons. 14 Hit Songs. Features 14 of this crossover star's best songs. Performed by Shania Twain. Easy Piano. Size 9x12 inches. 74 pages. Published by Hal Leonard. Performed by Shania Twain. Easy Guitar (Simplified arrangements for guitar). With notes and tablature. Size 9x12 inches. 88 pages. Published by Hal Leonard. Performed by Shania Twain. Piano/Vocal/Chords Songbook (Arrangements for piano and voice with guitar chords). Size 9x12 inches. 128 pages. Published by Hal Leonard. Performed by Shania Twain. Arranged by Ted Ricketts. Score and full set of parts. Young Band (Concert Band). Grade 3. Size 9x12 inches. Published by Hal Leonard. Arranged by Dan Coates. For Piano. Piano - Easy Piano Collection. Level: Easy Piano. Book. 88 pages. Published by Alfred Publishing. Arranged by Dan Coates. For Piano. Piano Method Supplement. Level: Late Intermediate to Advanced. Book. 46 pages. Published by Alfred Publishing. Arranged by Dan Coates. Single for voice and easy piano. 80 pages. Published by Alfred Publishing.